As you know it doesn't matter what camera I use when I am taking pics apparitions appear. I usually get apparitions not just orbs in fact i usually get faces or figures more then orbs. Last night i visited the Ottawa jail or Carleton Gaol as i think it's called with my girlfriend. I'd like to submit the photo I took below for your contest. 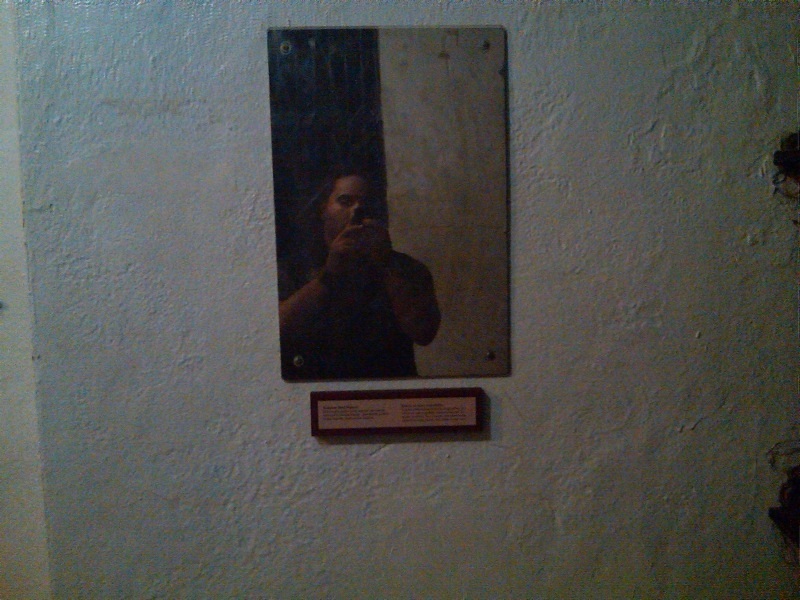 This stainless steel mirror is located on the top floor in front of the prison cells. When I took this picture neither I or my girlfriend noticed the blue lines that seemed to form in the reflection. As you can tell I didn't use a flash in this picture and if you zoom in to where my hands and the camera are you'll notice the odd shape of a skeleton like face formed with the blue lines that appear there. I can't explain it at all but it's real easy to spot once you concentrate. 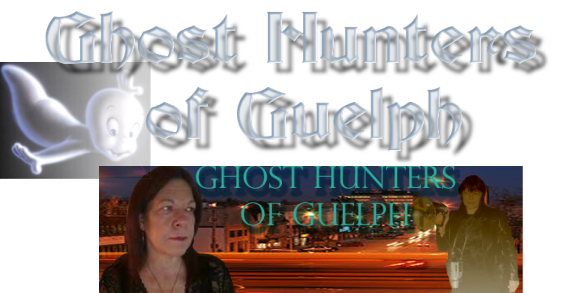 This was taken when we went to the Alan's Mill area on Wellington St. in Guelph. It shows an apparition I believe to have a hooded cloak in between the two trees to the right. Also appears to be energy coming from or to the figure in the yellow spots. It's my one image I cannot figure out. As well there is a story I heard that might explain it... up the street from this location is the courthouse and they use to hang people in front of it. This apparition could be the hangman responsible for those hangings. It does resemble something like what a hangman would wear to perform his duty.